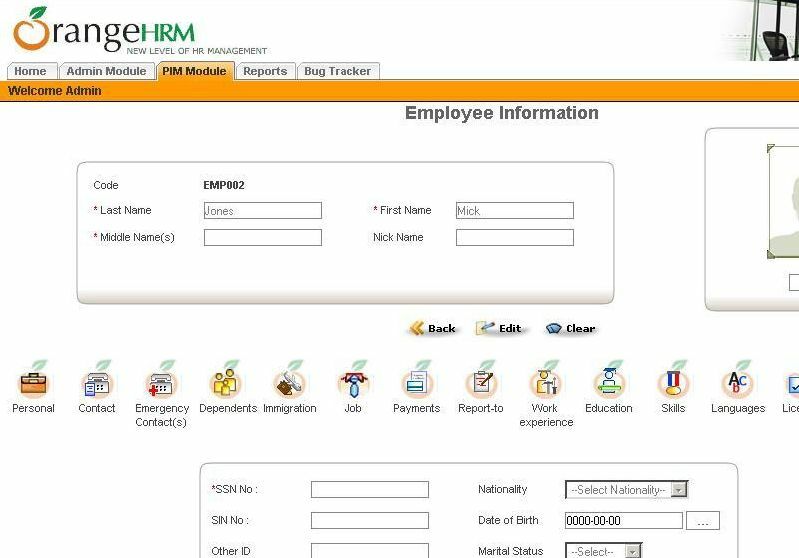 OrangeHRM is the world’s most popular Open Source Human Resource Management Software (HRMS) for SMEs (Small and Medium Enterprises) with over 1,000,000 users globally. The part of the system where the HR Manager or other appointed personnel perform all system administration tasks. This include defining company structure‚ pay grades and other information that serves as the backbone for the rest of the system. Security issues are taken care of through this module as well by defining user rights. This core module maintains all relevant employee related information‚ including different types of personal information‚ detailed qualifications and work experience‚ job related information etc. Picture of employee is included as well. Information captured in this module is utilized by all other modules‚ thus eliminating data redundancy. Employee self service is a powerful tool providing employees of the company with the ability to view relevant information such as personal information‚ updating personal information with web - enabled PC without having to hassle the HR staff. The functionality of this module spans through the entire system‚ making information available anywhere‚ anytime. Of course all information is subject to company defined security policy‚ where everyone can only view the information he / she is authorized to. Time and cost saving effects from this solution are tremendous. This feature produces customized reports according to your needs. Any number of reports can be defined by selecting from a range of search criteria and report fields. Report definitions can be saved to avoid repeating this task. Once the report definition is saved‚ the report can be generated by providing the required criteria data. A comprehensive leave management module‚ with extensive possibilities of defining leave types and more. It caters for all application and approval processes and is able to display information on leave entitlement‚ balance‚ history etc. Thanks to the web-enabled and self-service concepts‚ it significantly streamlines all leave related procedures‚ eliminates paperwork and saves costs. The module automates time tracking related processes. The offered functionality enhances the organization’s performance by eliminating paperwork and manual processes associated with time and attendance needs. The sophisticated module helps to efficiently organize labor data‚ improve the workforce management and minimize errors in enforcement of company’s attendance policies. Comprehensive solution for the entire recruitment process‚ including requests for staff‚ approval of vacancies‚ entering requirements‚ capturing candidates information‚ short-listing‚ interview notes and other features. The module also allows HR professionals to generate templates and documentation to streamline the whole recruitment process. This module brings features to set up appraisal schemes for different groups of employees‚ define methods, assign appraisers‚ conduct appraisals and manage other performance related tasks. Track progress of individual employees or whole groups. Comprehensive module to manage training related activities. It includes the possibility of defining training programs by several criterias and provides features to schedule training programs and more. 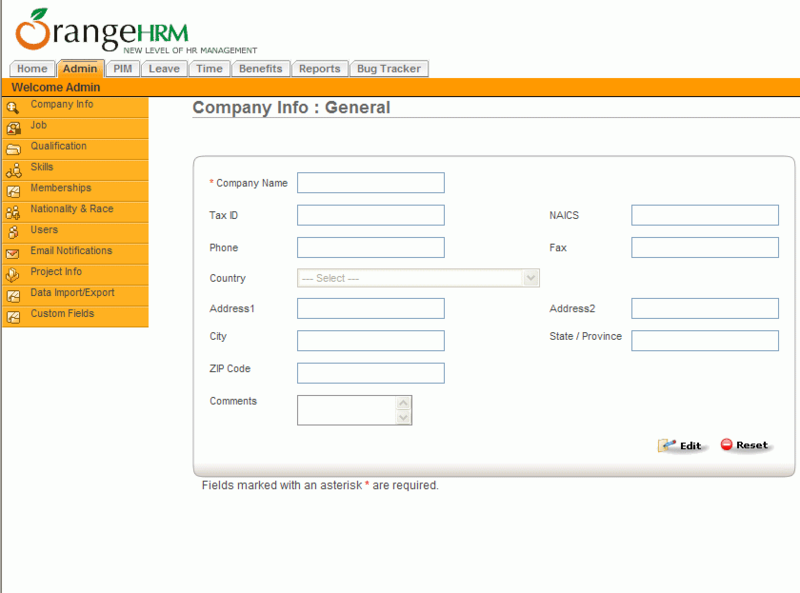 Integrated platform to manage benefit-related tasks. Covers medical and welfare benefits‚ with possibilities to define new benefits‚ by type‚ provider and several other areas. 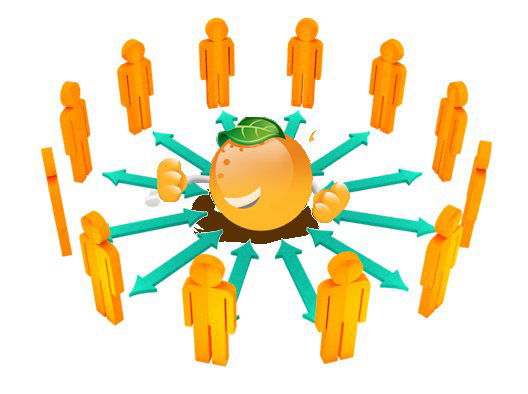 Assigning benefits to employees happens in a variety of ways‚ individually‚ designation-wise or other. Benefits history and other information can be displayed through rich reporting capabilities.